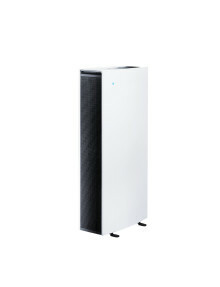 A Blueair 503 air purifier has won top marks for ‘extreme efficiency’ in cleaning indoor air of potentially health-threatening pollutants in an independent test using state-of-the-art equipment carried out by a leading U.S. airborne particle physicist and former NOAA scientist on behalf of Fast Company Magazine. 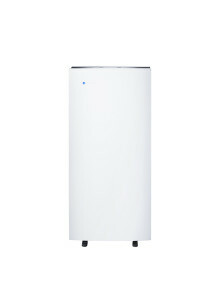 Blueair, the world’s leading provider of portable premium indoor air cleaning technology appliances, says a recent Friends of the Earth claim that air pollution in Scotland is creating a public health crisis underlines the lack of public awareness about toxic pollutants in the air people breathe both outdoors and indoors. 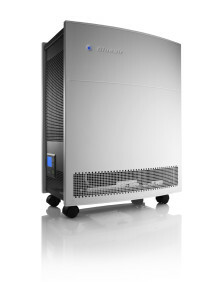 Blueair has been honored with a 2014 Chicago Athenaeum Museum of Architecture and Design GOOD DESIGN® award for the sleek design and performance of its new Blueair Pro series of powerful indoor air cleaners. 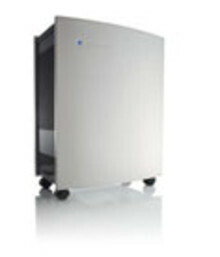 Blueair, worldwide market leader in premium indoor air cleaning technologies, has attracted substantial media attraction in Korea with the launch of three new E-models delivering high performance and ease of use functionality. U.S. retailer Sears to offer Blueair indoor air purification systems in 200 stores across the USA. 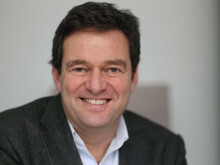 The agreement will vastly increase Blueair’s retail presence in the United States. As the leading global brand in premium indoor air cleaning appliances, Blueair has teamed up with the annual China Open international tennis tournament - the most comprehensive international tennis event with the highest level and the most players in Asia. 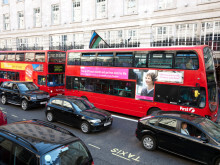 The European Respiratory Society (ERS) and European Lung Foundation (ELF) recently launched their inaugural Healthy Lungs for Life campaign with the theme: Breathe Clean Air. 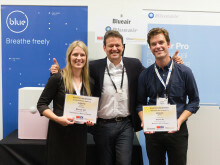 Envisioneering Innovation & Design Awards at IFA Berlin honor two new indoor air cleaning innovations from Blueair indoor launched at IFA Berlin, one of the largest consumer electronics trade shows in the world. Blueair, das internationale Unternehmen für Luftreinigungstechnologie mit Sitz in Schweden, präsentiert die Zukunft der Luftreinigungstechnologie und zeigt, wie diese alle Aspekte unseres Lebens verändern wird. Blueair, Sveriges globala teknikföretag inom inomhusluftrening, visar upp framtidens luftreningsteknik och hur den förändrar våra liv till det bättre när vi umgås, arbetar, bor och leker. Blueair has unveiled the future of indoor air cleaning technology and how it changes our lives for the better at the IFA Berlin technology show running 5 - 10 September in the German capital. Blueair launched two new innovative product lines, including the world’s most powerful indoor air purifier that uses little energy and an air cleaner designed for a younger, more health aware generation. 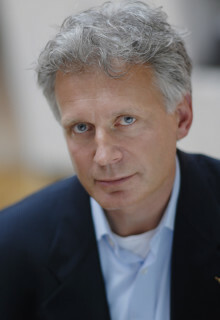 Blueair, det svenska teknikföretaget för rening av inomhusluft, har utsett Johan Skåntorp till produktutvecklingschef med strategiskt ansvar för Blueairs produktinnovationer med sikte på 2020. China's air pollution problems have made headlines globally, but in both Europe and the USA air pollution is still a major problem - with potentially serious consequences for human health and well-being. 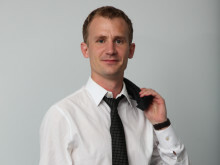 Swedish indoors air purification technology company Blueair has named Johan Skåntorp head of product development charged with steering the product innovation roadmap for Blueair moving forward to 2020. 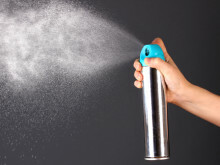 The regular use of household care products can help build up unhealthy levels of airborne pollutants, especially in modern tightly-built, energy saving homes. Berlins årliga mässa för konsumentelektronik IFA öppnar sina dörrar för allmänheten den 5 september, och i år kommer det globala luftreningsföretaget Blueair att presentera nya högpresterande teknologier som renar luften från praktiskt taget alla virus, kemikalier och PM2,5-partiklar.